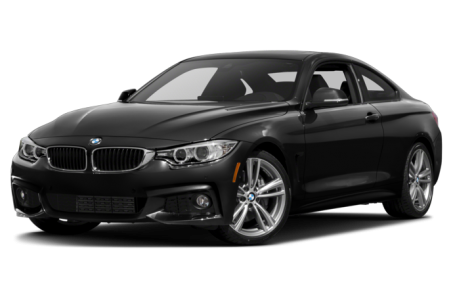 Sorry... the 2016 BMW 435 is no longer being sold as new. The BMW 4 Series replaced the previous-generation 3 Series coupe and convertible models in 2014. Power comes from a turbocharged four-cylinder engine in the 428i, and from a turbocharged six-cylinder in the 435i. Rear- and all-wheel-drive versions are available, and competitors include the Audi A5 and Mercedes-Benz C-Class. BMW also offers the high-performance M4 and a 4 Series Gran Coupe, a four-door model with coupelike styling. Sport Line content, 18-inch wheels and an anti-theft alarm system are now standard on the 4 Series. Sport Line elements include sport seats; high-gloss black finishes for the grille, air intakes, B-pillar and a section of the rear bumper; a black-chrome exhaust tip; a leather-wrapped sport steering wheel; and a sport instrument cluster. A new Track Handling Package features 18-inch wheels in a gray finish, uprated brakes, an adaptive suspension and variable sport steering.